Foraging pests and termites come into contact with the TreeBark Product because they cannot taste or smell it. These insects can walk through it, ingest it and carry it on their bodies. Within hours, the mouths of exposed insects’ become paralyzed and they can no longer eat and destroy your home. Exposed termites interact with other termites and quickly spread the TreeBark throughout the termite colony. Exposed pests are usually controlled on contact but some react similar to termites in that they carry it throughout the colony. Over time, the termites become more lethargic. They show signs of muscle paralysis and then they die. As a result, your home is termite-free within three months and fully protected for years. The active ingredient in the TreeBark product was formulated based on a naturally occurring compound found in the bark of a South American plant, Ryania Speciosa. From this TreeBark, scientists created a breakthrough product that works unlike any other, Chloranthriprole. When a professional applies TreeBark Final System, he or she only needs a low dose of the Treebark Product to control termites and pests to ensure extended residual control. 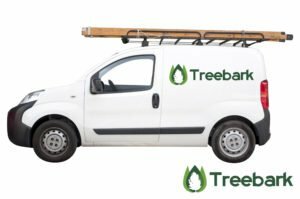 TreeBark protects your home by stopping further damage instantly and fully controlling the termite and pest infestations within three months. 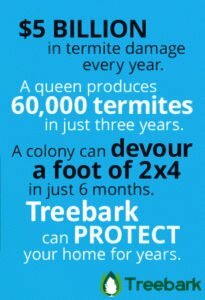 TreeBark also provides long-lasting protection in surrounding soil and wall voids to prevent future infestation and damage so you can live free from the worry of termites. is a synthetic compound that affects the ryanodine receptors in the insect muscle fiber. Termites come in contact with or ingest the active ingredient in Altriset. for muscle contraction. The resulting muscle paralysis leads to insect death. In fact, studies show that just one application of Treebark can fully protect your home from termites for years. Hundreds of laboratory and field studies conducted by independent scientists have proven that TreeBark Product and system is an exceptional termiticide and Insecticide as well as process. These studies show that termites and pests acquire a debilitating dose of TreeBark Product when they tunnel or move through a treated zone around your home. They also demonstrate that TreeBark Product increases termites’ and pests socializing and grooming behavior. This means they spread TreeBark Product to other colony members – and each group of exposed termites and pests continue this process, eventually impacting the entire termite and pest colonies.